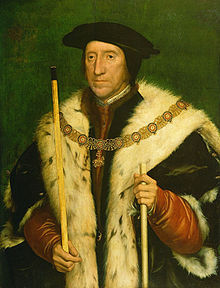 Henry Wyatt went to school (Eton and Oxford if memory serves me) with Henry VII and Thomas Boleyn and was guardian to Young Henry Tudor. So naturally Henry VIII was friendly with Thomas Wyatt and the Boleyns. I ran across the Eton thing also, but doubt it since Henry Tudor was still very young when his uncle Jasper had to take him away to a safe place. Henry Wyatt was a guardian of young Henry VIII … I don’t remember seeing Thomas Boleyn listed as such. It could have been. I thought he rose to prominence another way. (I have to go back over my notes. )� I haven’t been paying a lot of attention to the Boleyns. If you read about court life in Tudor times you can see how everyone knew everyone, they all went to the same schools and colleges. Remember the population of England in those days was less than two million, and so there was few nobility in comparison to Royals today. There might be perhaps a few thousand people at court. They’d have all known one another well.